There are numerous eventful moments in our children’s lives we would love to celebrate with friends and family. Why not bring out their alter ego for your little Superhero with a Superhero birthday party this year? 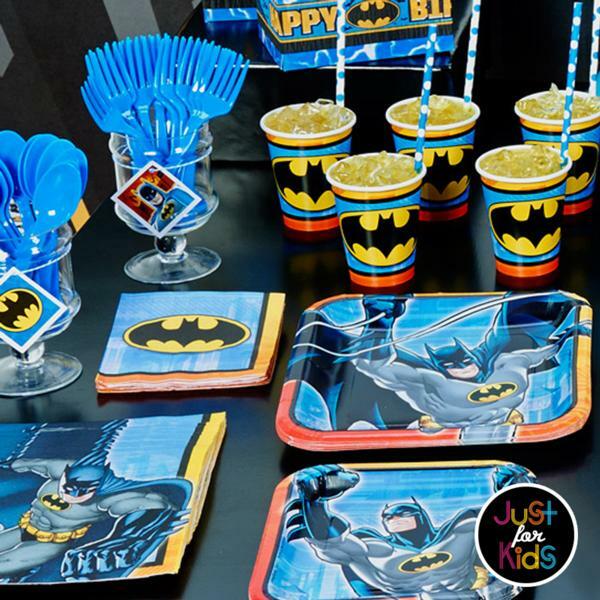 Whatever the theme, Just For Kids have all the party supplies you need for your child’s Superhero gathering. From Peter Parker, the boy bitten by the radioactive spider creating the endless evolving Spiderman, the extensively strong man from the planet Krypton, Superman, The Avengers who fight side by side saving the world from all who threaten it, our caped crusader, the fearless Batman or the construction of the Awesome Foursome defenders forming The Justice League team. Let your guests stand tall next to The Avengers with a wall scene setter, hand out unique colourful designed Justice League bands to your team, Give Batman his emblem by playing the game! Dangle decorations from the ceiling like Spiderman or invite your friends for an afternoon with the Man of Steel, Superman! At Just for Kids Party Supplies our Superhero party themes create wonderful memories for our wee ones enjoyed by the help of our awesome range of party products. From Jumbo balloons, party plates, napkins, hanging decorations or loot bag party favours, we can supply all your needs.